Sorry for the lack of recent activity here! 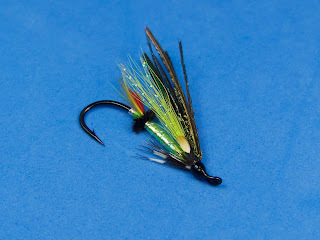 Though I have been delinquent on the blog front, I have been tying flies like crazy all summer long. 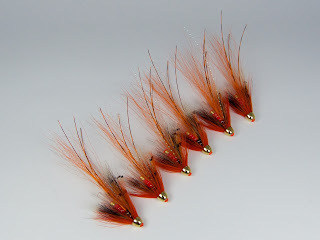 Summer is usually the time I tie an inventory of flies for fall broodstock Atlantic salmon fishing in Connecticut. Last summer, I didn't have time to tie for fall. 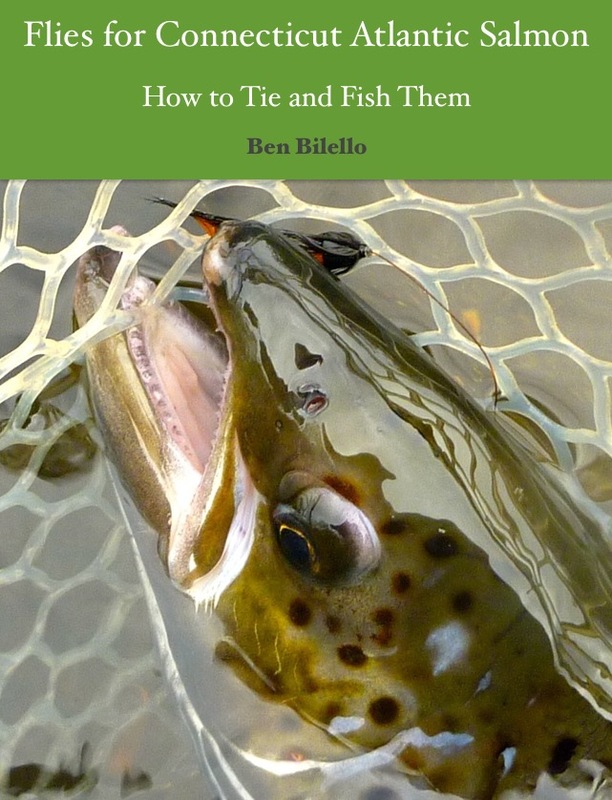 My free time was spent writing my ebook "Flies for Connecticut Atlantic Salmon: How to Tie and Fish Them." I figured I'd have time this summer to build an inventory for fall, but destination fly orders have been coming in left and right. 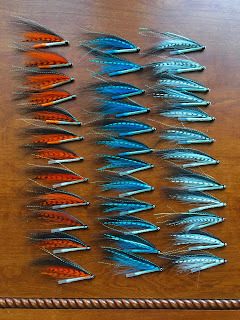 I will be offering a couple of fly assortments for the fall season. One is a basic assortment of a half dozen flies in various sizes. The other is a slightly expanded assortment with a dozen flies. The sizes and patterns will be selected based on the conditions we're likely to see this season. Of course, à la carte fly orders are always welcome. 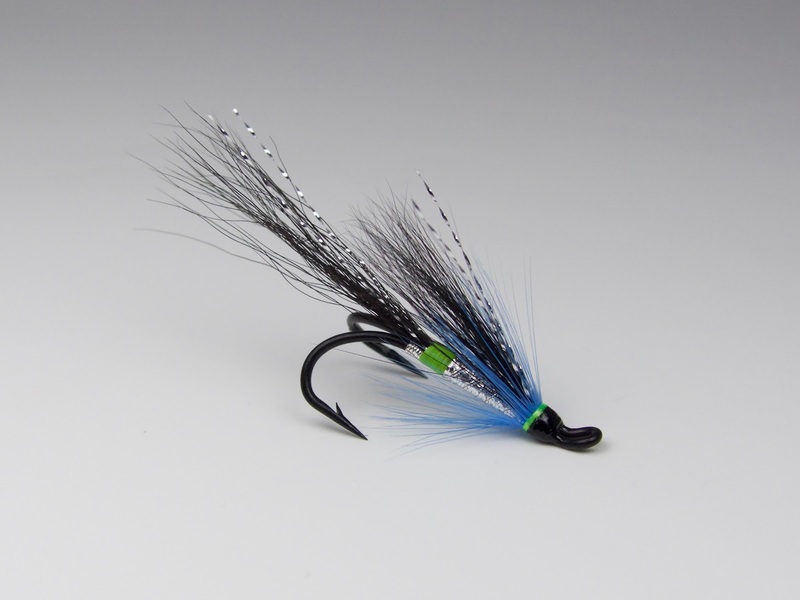 Check the Fly Shop page on my website for a sample of what's available. I hope to add more pics in the coming weeks. We're getting into what is usually my prep period for the upcoming salmon season. Unfortunately, it's another drought year, this year even worse than last. It looks like this will be the fourth low water autumn in a row. Low water can be a drag in some ways, but it doesn't necessarily mean that the fishing will be poor. Historically speaking, fall of 2013 was a low water year. The fishing was the best I've ever experienced, however. I remember feeling uneasy going into that season but, despite the low water, the fishing was off the charts. The temperatures were fairly mild that fall and we got an early start, seeing the first salmon in mid-to-late September. In fall 2014, the water was even lower than the previous year. I think temperatures were a little warmer, but not out of control. We got salmon in early October, which is normal. Fall of 2014 was the worst salmon fishing I've experienced since I started fishing the lower Naugatuck River. Of course, there were still some good days, but not as many as usual. Most people I know shared my opinion that it was a particularly tough year. No one knew why. I guess it balances off 2013? If the water was low in 2014, it was a trickle in fall 2015. The water was so low, I was begging for the low water of 2013. Flows of 120 cfs, which would be low for October, were a dream when they happened. This scenario made me really uneasy. In the end, it wound up being a pretty good season overall. It wasn't 2013 good, but the long stretch of warm weather made the river fish well from October into mid-January. It was probably more of an "average" season in terms of catches from October to December, but the extra long stretch of warm weather made for some pretty spectacular days in the late season. Numbers wise, it was second only to 2013 for me. So, we had lower water than ever, yet the river fished pretty well. Go figure. Fall of 2016...we're not quite there yet but, unless we have a really active hurricane season, it's hard to imagine that the river will even be as "high" as it was last year. In fact, the river is at historic lows at the moment. And it has been hot as hell almost all summer. This year, I'm praying that we get salmon at all, which is not a guarantee. The recent cool nights make me optimistic, though. We might have a little later start than usual. Who knows, it might wind up being a repeat of last season. While I miss fishing in higher water (or even seasonably normal water), I won't complain about catching plenty of salmon. In low water years, the silver lining is the availably of dry fly fishing opportunities. Fall of 2011 was a high water year. Although it was relatively productive, I don't think I moved a fish on a dry fly that season. I'm not sure I even tried one. Dry fly fishing can be an exciting way to fish for these salmon. 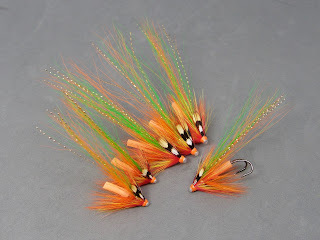 If you want to go out for a day, dry fly fishing or otherwise, check the guiding page on my website. Though most of my trips take place in November and early December, October is my favorite month. The fish are less numerous, but are more aggressive and fight harder while the water is still relatively warm. Floating lines, small wet flies, and dry flies make for very visual and exciting fishing. If you have any questions, feel free to contact me. I'm always happy to help. My presentation season is starting early this year. The first one is tomorrow night! If you're free, I will be giving a presentation on Connecticut broodstock Atlantic salmon fishing at the Naugatuck-Pomperaug Trout Unlimited meeting. There are more presentations to come, so check my News & Events page for all the dates and times. If your organization is interested in booking me for a presentation, I have a description of each listed on my website. Feel free to contact me for specific details on each presentation. I apologize for this post being one long advertisement! I will definitely be more active here than I have been over the summer. Check back for fishing reports once the fall season kicks off. 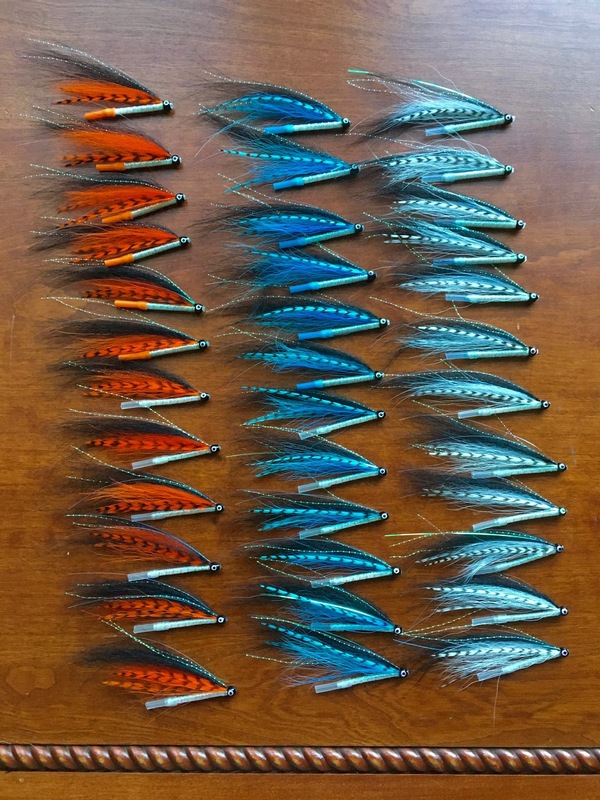 Also, I have some more tying tips posts planned, as well as some ideas for tying videos, and hopefully an interview or two. If there's anything you might like to see, let me know. Hope to see you on the river! Ben your flies are wonderful. That Green Pearl is awesome. Thanks, Alan. The feeling is mutual!